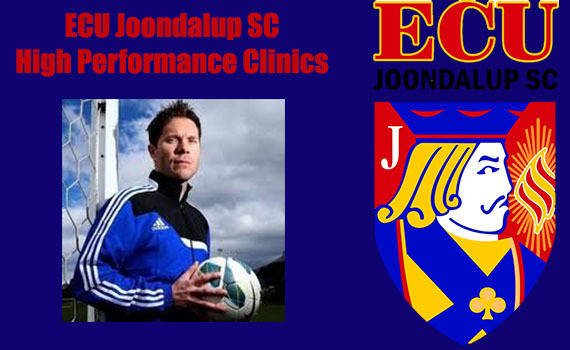 He will be hold a number of High-Performance Football clinics at the ECU Campus from Monday 11 February 2019. Please fill in expressions of interest form below. Weston began his football at the Manchester United academy, before signing a professional contract with the Tractor boys in 1990, where he stayed for five years. He then headed to the US and was a development coach in Major League Soccer, before returning to the UK and was head coach of the Stockport County under 16’s academy side. He then moved to Perth in 2009 and has been a High-Performance Coach, an assistant coach at the Football West NTC and also Head Coach of the WA State under 15’s, before heading back to the UK and taking a role in the Burnley FC academy. In 2014 he returned to Australia and became the Head Coach in the Football Tasmania NTC and spent three successful seasons there. He then coached Tasmania side Olympia Warriors and guided them to the FFA Cup round of 32 for the first time in the club’s history. He has now returned to Perth to run his football consultancy clinics, and he holds a AFC – A licence and UEFA B – Licence, and his clinics with a number of clubs all over the world and helps talented players to secure contracts / trials overseas and college scholarships in the US.